Does your venue look like this? On a Wednesday night between 7-9PM? Or how about Thursday? Weekends? What Is Pop Quiz Trivia? Pop Quiz Trivia is 2 hour high impact trivia game. Our game is played with a live host who is not only a dedicated host with a cohesive show, but a trained professional speaker. Pop Quiz Trivia is different than karaoke or card games in that you do not need special skills in order to participate. Contestants play to win "house cash" or gift certificates for use at your establishment on a later date, creating an instant repeat customer! Everything is included with a Pop Quiz show, from hosts, to advertising/print material--WE EVEN BRING THE SOUND SYSTEM (appropriate size for your venue, or we can use yours) as part of the package. 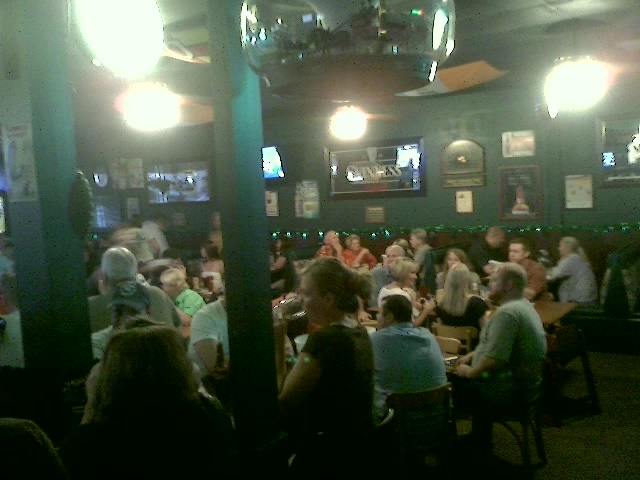 We are the largest live trivia show in our home market of Tampa Bay.. We know how to draw a crowd! Also, most of our venues have been with us for 1 year or more. We are also constantly innovating our game. We were the first Tampa Bay trivia show to have an interactive website that includes hints to shows--which motivates players to visit and see your specials. We also introduced decades shows in 2008 as well as other special themed shows which keep our games exciting and fresh. Our social media pages see between 15,000-20,000 impressions weekly. We also boast superior accuracy in our questions and answers, and even incorporate a "real time" judge/research department for our hosts to reference during the show. The recent addition of our scoreboard and tournaments (currently only in Tampa Bay, but plans in place to extend to new markets also), we have seen an explosive growth in our attendance numbers as players compete more nights to qualify for a larger prized tournament. 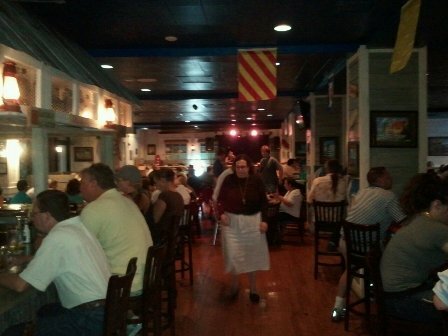 Tournaments are also held in a Pop Quiz venue, and see 100-200 people spectating and particpating. In addition to our regular show schedule, we are pleased to have donated entertainment and fund raising opportunities for several charitble organizations right here in Tampa Bay. We have also found that Pop Quiz Trivia works very well as a team building exercise for corporate events. 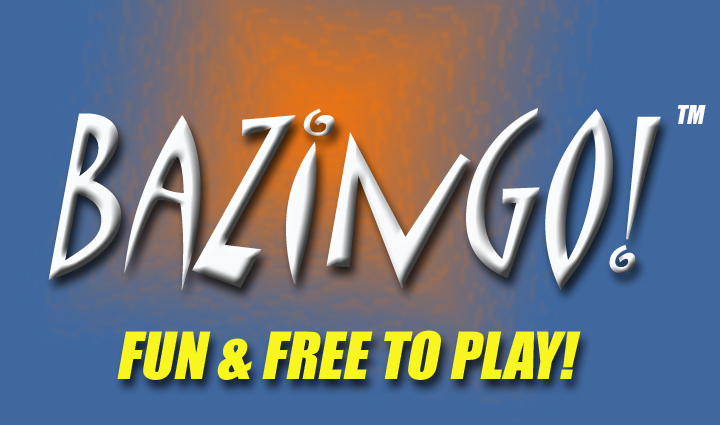 Contact Us today to find out how Pop Quiz Trivia can turn a slow time into a show time! "This is the busiest we've been on a Tuesday in a while." 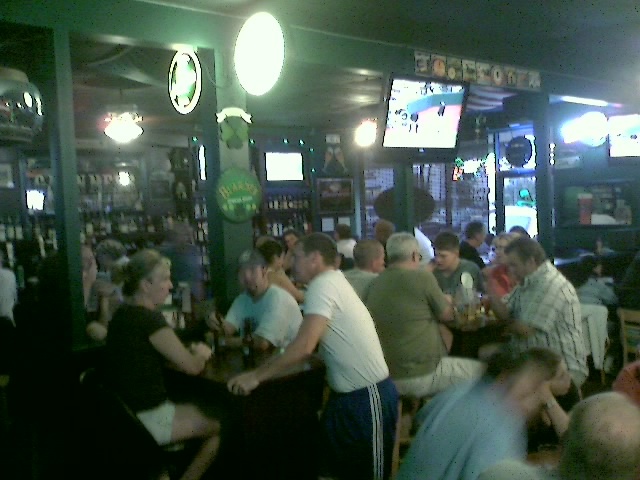 "Wednesdays (Pop Quiz Night) are our best nights of the week. They even beat out the weekends!" "(Pop Quiz host) is more animated and interactive than the other trivia companies we've seen." "We had a $2100 night during (Pop Quiz Trivia) time." "Tuesday nights used to be quiet, and now you can barely find a seat in the bar!" 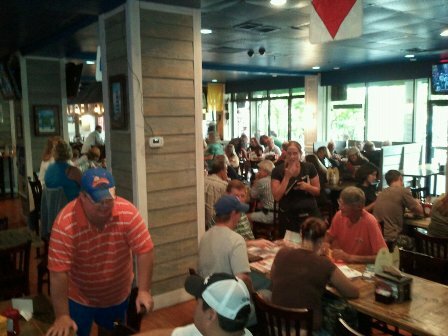 "Almost every one of my tables was $100 or more"
"What impressed us most about Pop Quiz Trivia was how they not only kept the crowds here longer on those slower nights, but how they steadily grew the crowd over time. Even in these tough economic times, we are able to measure the success of Pop Quiz Trivia at the cash register every night they're here." Bar Bingo! A growing trend! Pop Quiz Trivia was featured on Bay News 9's "Extra On The Town" segment. In case you missed it, if you're a Bright House Networks Digital Customer tune to channel 340 and click on the "Extra On The Town" tab. There is a 5 minute segment there! CONGRATS TO FINLEYS! They set a new attendance record: 21 teams, 93 players 7/8/09! Crowd Pleasing Events Featured on Bay News 9's "Around the Town"
Tampa, FL - July 14, 2009. 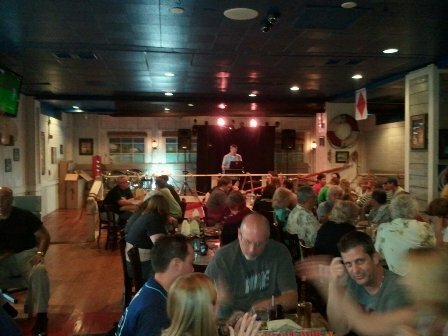 Prolific Productions, Southwest Florida's largest trivia event promotion company, announced today the release of the Bay News 9 "Around the Town" feature segment on their Pop Quiz Trivia event filmed at Finley's in Largo, FL. The segment, hosted by Virginia Johnson, highlights the positive impact such events have for local bars and restaurants in attracting scores of loyal customers on what have traditionally been slow nights for business. "Like every local bar and restaurant, we rely heavily on the loyalty of our regular crowd during the slower times of the week and quite frankly, the slower seasons of the year" commented John Hendricks, Co-owner of Finley's with his partner Mike Kelly. "But what impressed us most about Pop Quiz Trivia was how they not only kept the crowds here longer on those slower nights, but how they steadily grew the crowd over time. Even in these tough economic times, we are able to measure the success of Pop Quiz Trivia at the cash register every night they're here." The host will read a question aloud. Participants will have approximately 5 minutes to put your answer on the answer sheet and deliver it to the host. Each question has a point value already assigned to it. If you get the answer correct, you will earn those points, if you get it wrong the points do not count against you (except "The Final Answer") Once your answer is turned in to the host, you will not be able to revise it. When "time's up" is called, it will then be too late to turn in an answer. A one minute warning and thirty second warning will be given by the host. Remember, even though there are prizes, this game is meant to be fun, so have fun!!!!!! Pop Quiz Trivia is a product of Prolific Productions, LLC, Tampa, FL. Don't be fooled by impersonators! Demand the best!